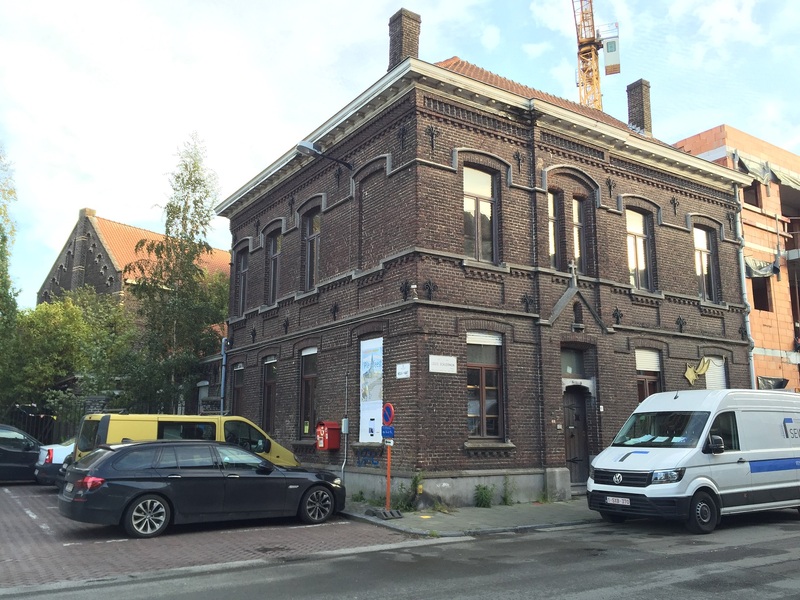 De Pastory was created in 2015 in an old presbytery building and the garden on Ghent’s Heilig Hartplein. 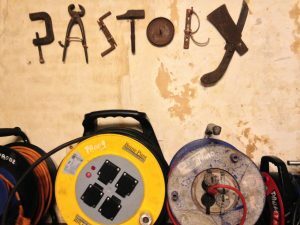 Born from a movement of local residents and organisations to protect the municipality owned building from demolition, De Pastory today gives space to community meetings, NGOs, a community kitchen, a library of tools and a bar. Aware of their temporary tenure in the building, De Pastory community is actively looking for ways to stabilise their experience. How did you get involved in De Pastory? I live in the neighbourhood and I also used to work here as a community worker, in the community centre on the other side of the square. The neighbourhood was one of the areas designated for an urban renewal project and a couple of years ago we noticed that this building was empty. We knew that the city was selling vacant, unused buildings and with some of the neighbours we thought it would be a mistake if the city sold this building and the garden before starting an urban transformation process: this place and the adjacent square can be a perfect tool to begin an urban renewal project. 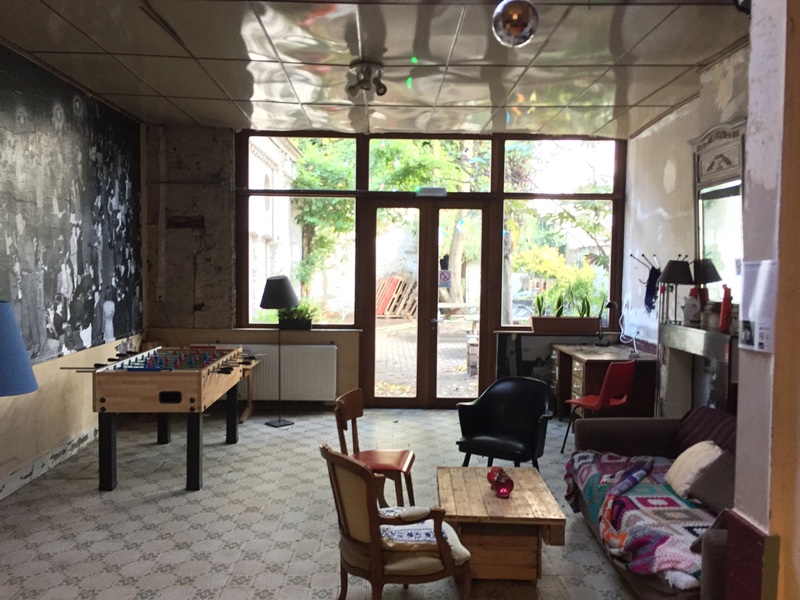 In Ghent, if you have an idea for an empty space you can get some funding and start a local project. We went to the city and asked if we could start a project here. It was not so easy at the beginning because they wanted to sell the building… the economic crisis forced the city to sell some of its assets, the municipality put a criteria about which buildings to sell and which ones to keep and this was on the list of selling. How could you change this plan? I know very well how you can get a community together and communicate as a community with the city, and create a critical mass: people need to connect and see the bigger story. In this area the problems were very fragmented, everybody has their own corner and people are not very connected; that is why it was difficult to organise the neighbourhood against something like selling a building. We brought people together and said we can help each other, we can build a community and we can start communicating with the city. What we needed was facilitation. In 2015 we started to use the building. What uses did you conceive for this building? I used to work in the community centre which is a very big building: very difficult for a local resident to get a place for a meeting. Although a lot of people work here, you have to be there between the officials hours. We knew that instead of this centre, we needed a place with more flexibility where you can decide about a meeting for 20 people just two days earlier. And where we can provide a place for the local short food chain where they can sell their food, where we can provide spaces for youngsters, for yoga, for developing photos, and many other services. For instance, in summer, during holidays, we have an experimental crèche, organised by parents: one day you help and then for four days you can put your child there. We also have over here a library of tools if you want to rebuild your house. Some equipment is very expensive and takes up a lot of space. People can rent it for almost free. The point is that everything is local, it is an experiment, there is no format that we copy. We do what we think would work and we do it ourselves. It is trial and error. We need a place like this, not a perfect building, with not too much admin work. It is perfect for us to organise ourselves. How can you finance all these activities? The building is given us by the municipality for free, but we need to pay all the bills like insurance, heat, water and electricity and we have to finance it through the bar. We also have every Friday a community bar and every weekend other people do the bar that creates a good mix. It is very interesting to bring different communities together here: they do their own thing, but when they have different meetings they have to still use the same kitchen or the same bathroom. Because if you always use the same connections you do not meet anyone in the end. Here people get connected. The bar is very cheap that helps if you want to bring people from different socio-economic standards. I think it is important that we do not use hipster prices but prices are the same as in the neighbourhood. It is not like charity: everyone can pay their own beer. Otherwise we only get the middle class, with gentrification. It is very important that we are not one niche in the neighbourhood, to connect a lot of different people. We also host organisations that work with poverty: we have to make sure that they also can organise themselves here. It is difficult for them to plan ahead, but we need to make space for them. Most of the work in the building is done on a voluntary basis. We do not want a professional organisation, it has to be volunteers and people from the neighbourhood to run this place but for the cleaning, accountants and some dirty jobs we want to pay people. It is impossible to find volunteers every week for these jobs. We also participate to the social economy system: we hire people from the neighbourhood who might otherwise not find a job, rather than hiring professionals. We also have some revenues from the spaces. There are some big organisations that come here and use the place, and they pay rent. There is a neighbourhood manager group, they want to bring people here from the city, then they use the meeting room. The musicians who rehearse here also pay rent. And two times a year we organise a big party for benefit where we do not have a standard price list: those who have enough money can pay extra as a form of donation. What is your relationship with the community centre across the square? I think the city realised that it was not a good place to put a community centre here: the building is not open, one cannot enter easily. The building is organised in a very rigid way, they do not have the flexibility required by working with local communities. A community centre should be easy to access, with not too many conditions or too many rules: rigidity makes it difficult for people to organise themselves. But there is no competition between us – we want to work in synergy. With the last community worker, we worked well together as we organised one big festival in the square and it worked very well. Some people say: “you already have a community centre why do you need another place like this?” It is a not a good thing to put everything into one place. It is important to have different places. One place responsible for everything is not healthy. How long can you stay in this building? The timing is defined by the urban renewal project I mentioned. According to the city, they will start constructions 2020 but we are not sure if the deadlines will be respected. We are here until they start the project but we do not see ourselves as just a temporary presence to keep the the building nice and then go away when the project begins: our work will continue afterwards but in a different context. Temporary use is a grey area in terms of its legal framework but it is good for trial and error. It is good to have time to develop our work and that nothing has to be really official. In the beginning the building was in a really bad shape that nobody wanted it so we said we would take it. With lot of expertise from the neighbourhood, we did the floor, cleaned the carpets, changed the windows, repaired the heating. The 20,000 euros we got from the city was not enough to refurbish the building, so we did it with professionals from the neighbourhood who worked on it almost for free. The story is really nice, we feel very connected with the building. It is not a complex building, we know everything ourselves, if something is broken we can fix it. Also people take more responsibility when they fix it themselves. In the long term, maybe in another building, we would like the city to provide the necessary investments to comply with the basic health and safety requirements. We would also like to shift from voluntary work towards the social economy, hiring a concierge or someone who can take care of the basic things, makes sure everything is clean, open the doors, does the accountancy. But if we start professionalising, there is a risk that a lot of responsibilities will go to one person. It is important that we take responsibilities together. Community, Ghent , civic space, community, culture, education, food, heritage, municipality, neighbourhood.